But would Scott Orr put his name on Madden NFL 25? Sure, the anniversary edition of the game released in August sparkles with its new engine technology and, of course, it has the 11-on-11 NFL football simulations that Orr demanded. The real players are there too, rendered in painstaking graphical detail with thousands of calculations approximating their real world behavior. But overall it’s a profoundly bloated package layered on top of the basic sports sim. Franchise mode, the money-hungry Ultimate Team trading card game built around micro-transactions, the Skills Trainer, and variations of online play for all… These are all, ultimately, different games masquerading as the same. The question isn’t whether Madden NFL is a good enough football video game for its original creators to put their name on it. It’s whether or not Madden NFL is a football game at all. 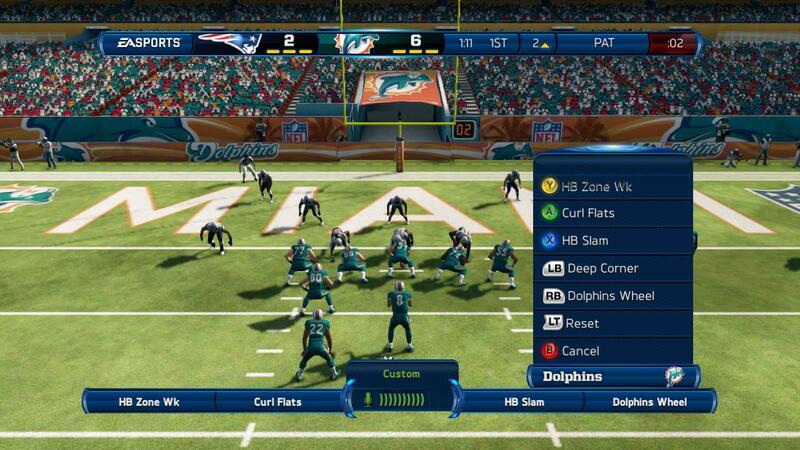 It’s no secret why EA turned away from making just a football game. As a pillar of Electronic Arts’ annual business and as the only official NFL video game out there, developer Tiburon has been under extreme pressure to increase the value of the game as they are locked into an annual development cycle. More modes, more ways to generate revenue (DLC, Ultimate Team card packs, etc. ), and more tweaks to the fundamental play are necessary to keep the series’ approximately 5.5 million players coming back for more year after year. 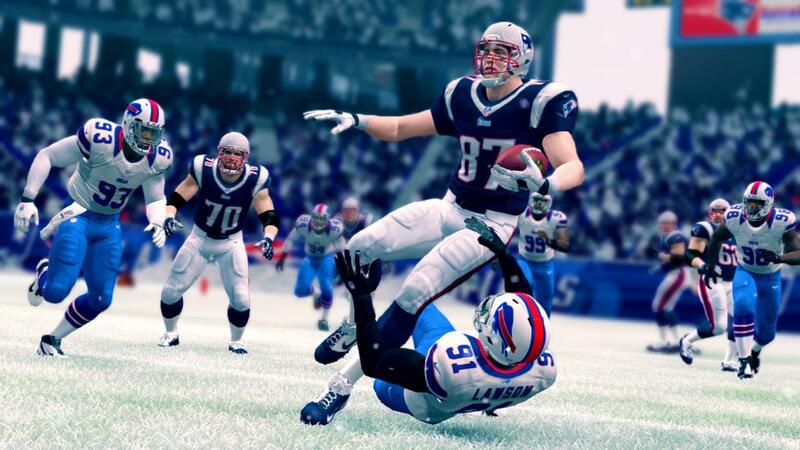 As Madden NFL’s feature offerings have grown over the years, its field game has stagnated. Changes to how the regular old 11-on-11 football is played may be significant for diehard players, but negligible for the average fan. Madden NFL 25’s improved option play running is interesting, as was Madden NFL 12’s new animations and physics, and 09’s new tackling. But these slight changes don’t invite new players in or allow for new ways to imagine how video game football can play. Big changes can’t happen. According to Electronic Arts’ thinking, there needs to be a new, packaged Madden NFL game every year. The realities of an annual release mean that small gameplay tweaks and new modes are the only feasible option to keep the profit machine running. Madden NFL 13 certainly contributed to EA’s $2.4 billion profit over the last fiscal year, and Madden NFL 25 will do the same this year, but it seems like the series in its current form has reached as many players as it possibly can. Madden NFL 25 is selling slower than Madden NFL 13, moving 1 million copies in its first week compared to its predecessor’s 1.65 million over the same period. It’s tempting to say that players are holding out for November’s PS4 and Xbox One editions of the game, but total sales have shown Madden NFL in decline for years. Besides, the upgrade fee for those that buy Madden 25 on the PS3/Xbox 360 is only $10. Madden NFL 13 has sold about 5.6 copies total, but Madden NFL 11 sold about 6.5 million total. Madden NFL 09 sold more than 7.8 million copies. The numbers don’t lie. EA could make Madden NFL a subscription or free-to-play service – rather than a boxed product – allowing for more seamless productions over time. Alternatively, the studio could strip it all down, get rid of extraneous modes and recommit to making the best, most fun simulation of NFL football it can. Electronic Arts shouldn’t get rid of any of the different games that make up the Madden NFL package as it stands. Ultimate Team has its fans, and for many players the RPG-like Franchise Owner Mode is the draw of the game, even over the actual field play. It’s dumb to keep them bundled in an expensive $60 package. EA can maximize the creative potency of the many games inside Madden NFL, and thus their profitability, by splitting them into separate products. Imagine the new Madden NFL landscape where Ultimate Team gamers could download only that feature on consoles, PC, or mobile devices for a small fee, and Electronic Arts could continue to rake in money through microstransactions from players eager to purchase the best cards. Players interested in Franchise mode could also purchase their game at a lower price without having to purchase Ultimate Team, letting EA reap the rewards of its already established niche audience. It could also justify charging a fee for roster updates, which Madden’s most avid players would likely find more palatable because of the lower cost. Best of all, though, this would allow EA to segment the development of the game further so that the core product – a video game that lets you play an electronic simulation of NFL football – could stand on its own. Tiburon could be split into two independent studios that specialize in two separate games, with one devoted to developing the service-oriented Franchise modes and the second devoted purely to developing Madden NFL’s field game. Franchise, with its multiple sub-games from Owner Mode to Skill Trainer, is reliant on annual updates rather than the actual simulation of football. The Franchise development team could continuously develop this product around the calendar year with steady updates and a large annual release, not unlike many MMOs that release expansions. Meanwhile, the devoted developers working on the field game could spend more than just a few months at a time reconsidering what that foundational game is. No more slight tweaks like improved option plays, but a thorough look at how video game football should play. Major revisions to the Madden NFL field game could be released every two or even three years. The new game would be looped into existing Franchise and Ultimate Team products. The standalone football game could be sold as an independent low cost package of exhibition, and regular season games marketable to the most casual fans who just want some video game football. 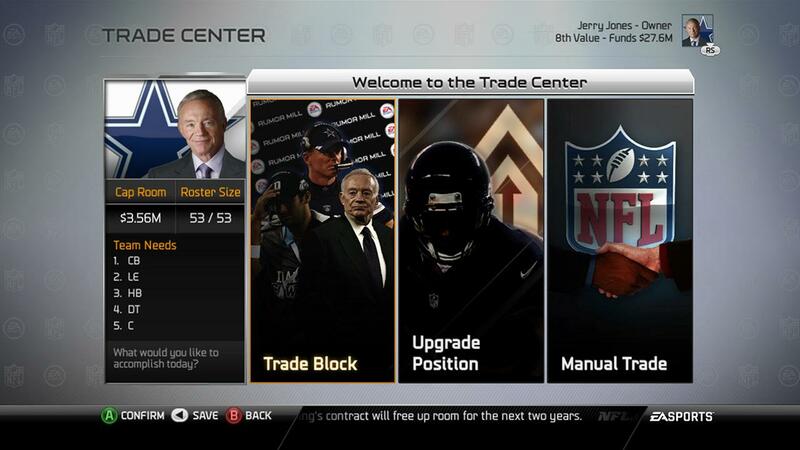 Segmenting Madden NFL, both in development and as a product, isn’t feasible in the current structure of EA Sports. As writer Tom Bissell documented last year, the Madden production machine is a massive corporate engine. But with its stagnating audience, EA needs to reimagine what Madden NFL is if it’s going to survive. Plus, video game football needs to be spiced up every now and again. Way back when multiple publishers could make NFL games, experimentation was a natural result of competition. As sole holder of the NFL license, it’s EA’s responsibility to take up that willingness to experiment. If it doesn’t, we’ll never made it to Madden NFL 50. Frankfurt 2013: Are high-tech hybrids and EVs carving out a new premium car segment?